What is an Army Navy Surplus Store? 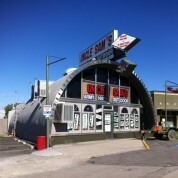 Posted by unclesamsutah on May 16, 2012 in Uncategorized | Comments Off on What is an Army Navy Surplus Store? An army navy surplus store is any store, usually retail, which sells military surplus — general equipment that was intended for the military but is unable to be used or originally purchased in excess by the military. These stores often sell camping equipment or military clothing, boots and all types of military gear. Following the First and Second World Wars large amounts of former military clothing and equipment were sold in these stores. They started to decline until the “Rambo” movies gave them new life in the early 80’s. The music industry has brought new customers for the camouflage clothing and dog tags. Camouflage has also appeared on Hollywood’s red carpet. Survival and preparedness is all around us now from 72 hour kits to radiation detection. This type of store has evolved to become what is “Uncle Sam’s Army Navy Outdoor”. We have an extensive amount of military surplus from all over the world as well as camping, hunting, survival, extreme cold weather, martial art, self protection, 72hr kit, costumes, collectibles, books and more. Uncle Sam’s Army Navy Outdoor is Utah’s foremost supplier of military and outdoor products. We carry an extensive line of Adult and kid size apparel, new and used, U.S. and international military surplus. For over 15 years Uncle Sam’s has stocked it deep and sold it cheap. We love our customers and they let us know what they need. Our best advertising has been, “It’s Top Secret, don’t tell anyone.” Someone can’t keep a secret.